In the last decade, there has been a growing interest about the possible association between anaplastic large cell lymphoma (ALCL) and breast implants (BIA-ALCL). Many variables, such as breast implants texturization, have been investigated. Breast implants often lead to the formation of a periprosthetic capsule, characterized by inflammation. The presence of the inflamed capsule has been found in the majority of patients with BIA-ALCL. 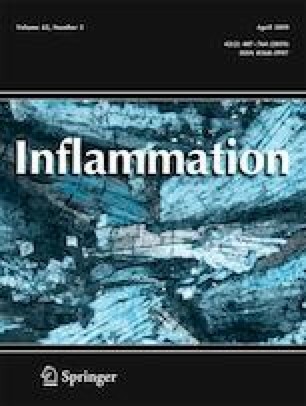 Inflammation may be sustained or counteracted by mesenchymal stem cells (MSCs) by the secretion of pro- or anti-inflammatory cytokines. 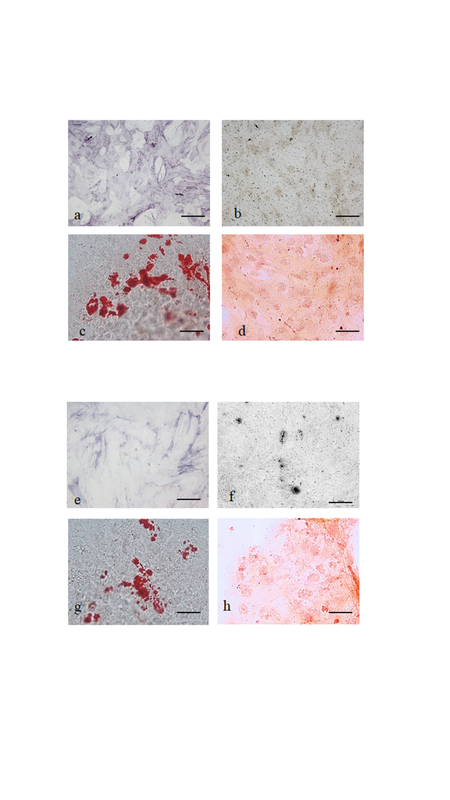 MSCs were isolated from three capsules surrounding micro-textured (micro-MSCs) and from three capsules surrounding macro-textured (macro-MSCs) implants; after characterization, MSCs were co-cultured with KI-JK cells (a cell line derived from the cutaneous form of ALCL). The secretion of cytokines related to inflammation, the proliferation rate, and the expression of genes referred to pro-tumoral mechanisms were evaluated. 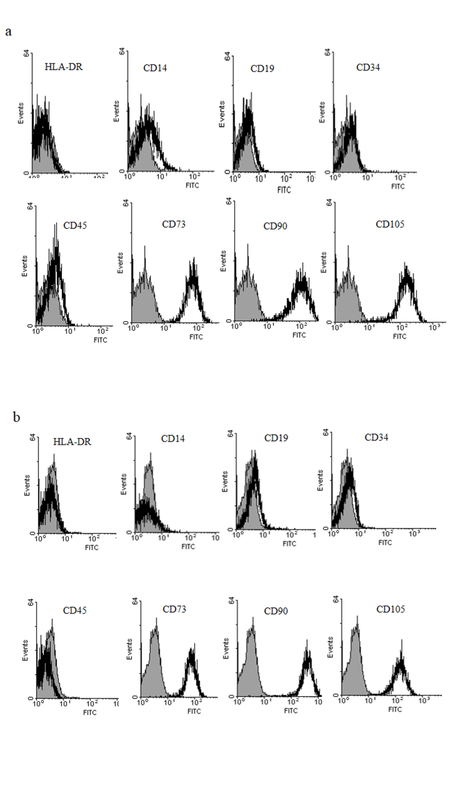 Co-cultures of KI-JK cells with micro- or macro-MSCs gave the same results about the secretion of cytokines (increase of IL10, G-CSF, and TGF-β1 and decrease of IL4, IL5, IL12, IL13, IL17A, IFN-γ (p < 0.05) with respect to mock sample), expression of selected genes (increase for ACVR1, VEGF, TGF-βR2, CXCL12, and MKi67 (p < 0.05) with respect to control sample), and the proliferation rate (no variation between mock and co-cultured samples). Our results suggest that MSCs derived from capsules surrounding micro- and macro-textured implants display the same effects on the ALCL cells. Monia Orciani and Miriam Caffarini contributed equally to this work. The online version of this article ( https://doi.org/10.1007/s10753-018-0930-4) contains supplementary material, which is available to authorized users. This study was approved by the Università Politecnica delle Marche Ethical Commitee and was conducted in accordance with the Declaration of Helsinki. U.S. Food and Drug Administration Center for Breast Implant-Associated Anaplastic Large Cell Lymphoma (BIA-ALCL). https://www.fda.gov/MedicalDevices/ProductsandMedicalProcedures/ImplantsandProsthetics/BreastImplants/ucm239995.htm. Accessed 10 Jan 2018. U.S. Food and Drug Administration Center for Devices and Radiological Health. 2011. FDA medical device safety communication: Reports of anaplastic large cell lymphoma (ALCL) in women with breast implants. http://wayback.archive-it.org/7993/20170722214256/https://www.fda.gov/MedicalDevices/Safety/AlertsandNotices/ucm240000.htm. Accessed 10 Jan 2018.